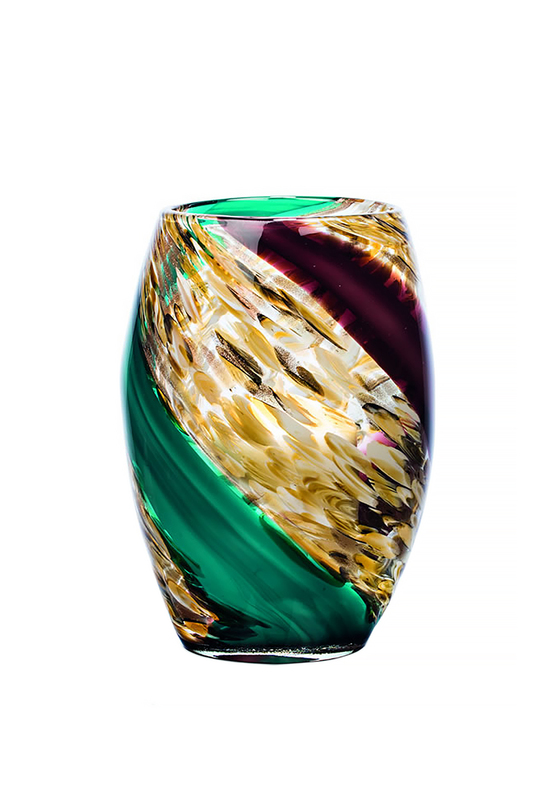 This egg shape vase from Newgrange Living has style and grace, with strips of purple, teal and cream running in a swiping motion throughout the clear glass to give it an exquisite finish. 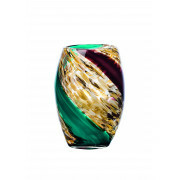 This candle holder is sure to impress in your living area. A non-scented candle is included with candle holder.